Welcome to Grace Brothers Department Store, where stuffy Mr. Humphries (John Inman) and blue-haired harridan Mrs. Slocombe (Mollie Sugden) lead a quirky sales staff through one ribald, hilarious misadventure after another. 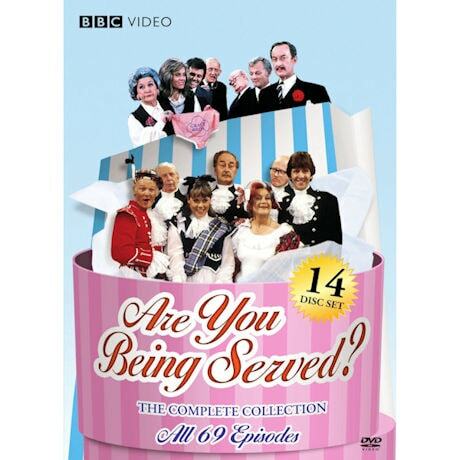 Set among the men's and women's wear, seen on PBS, this perennially popular Britcom is still screamingly funny. 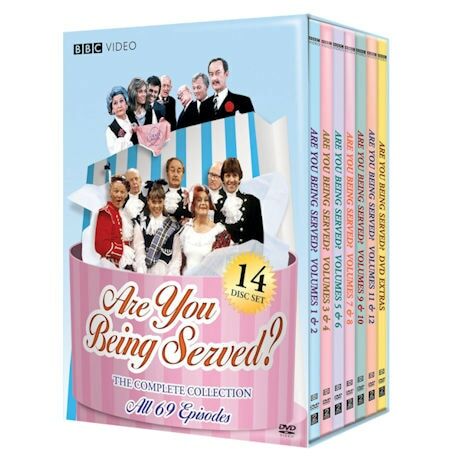 Complete collection includes every episode and more than 5 hrs of extras. 69 episodes, 35 hrs, 14 DVDs.